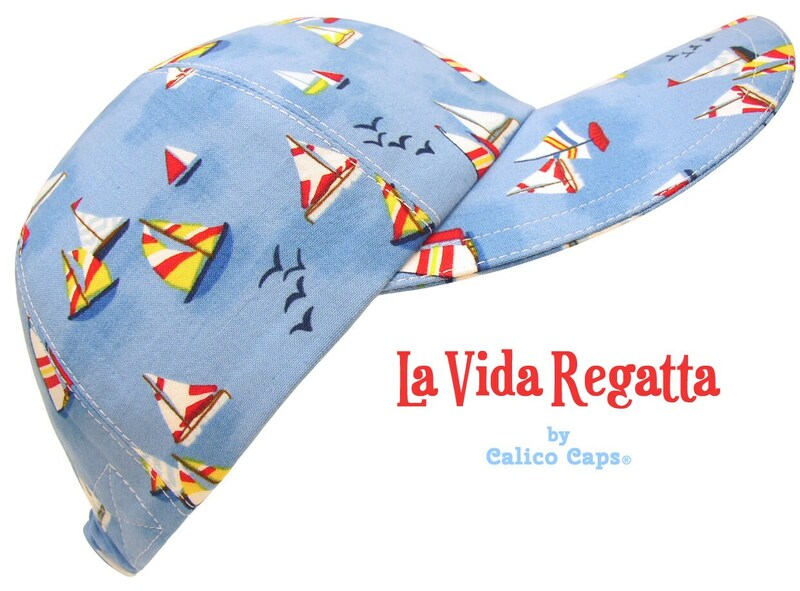 Sail away in style in the latest Calico Cap... "La Vida Regatta" - The sailing life! 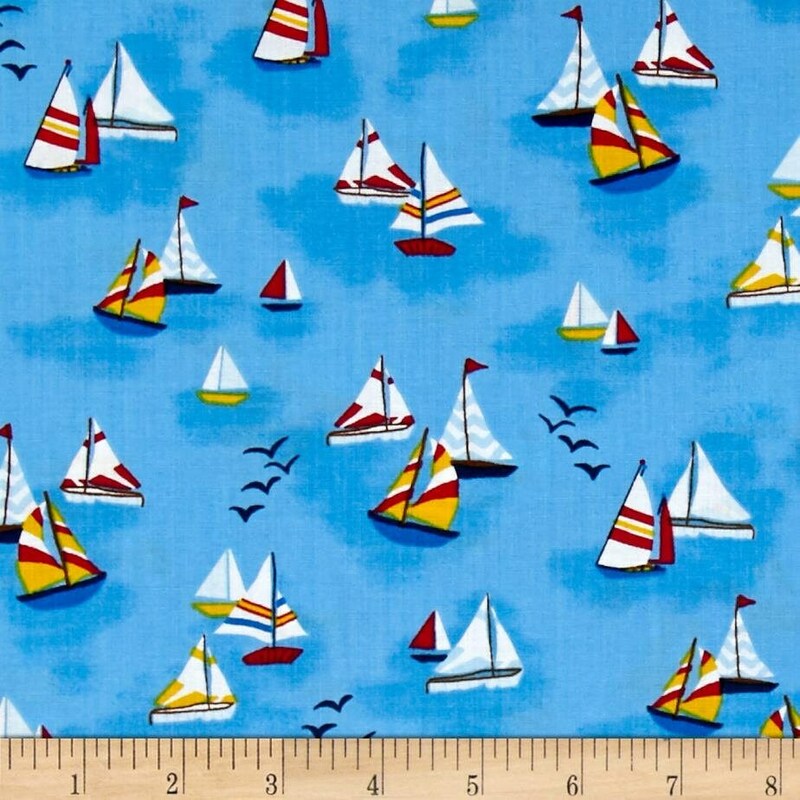 Cute little sailboats with sails of red, white and yellow stripes, blue and white chevrons, on a chambray blue water background with navy blue seagulls here and there. 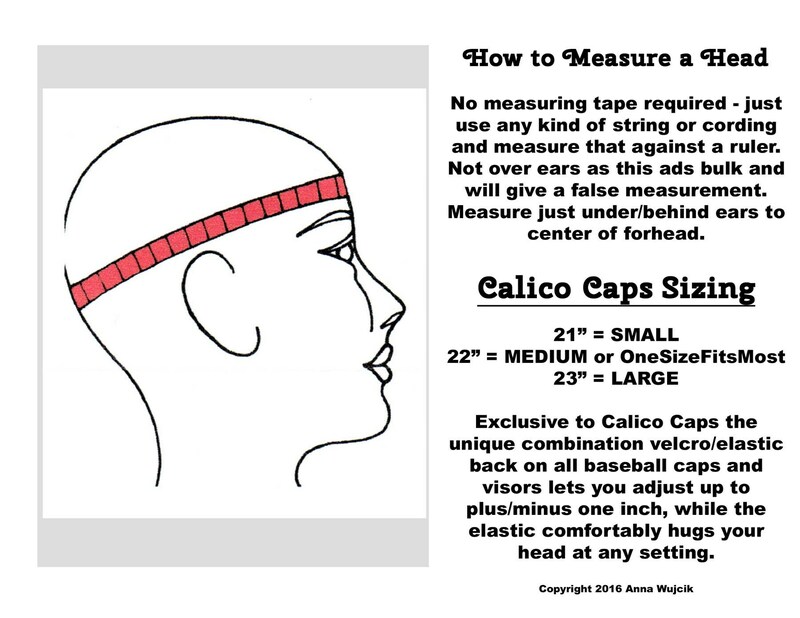 A great complement to your sailors' whites. 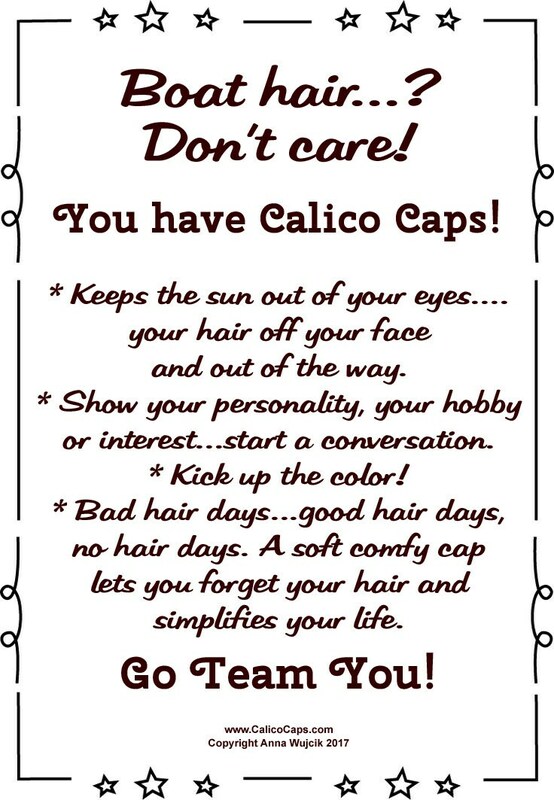 So cute with blue jeans and sneakers. 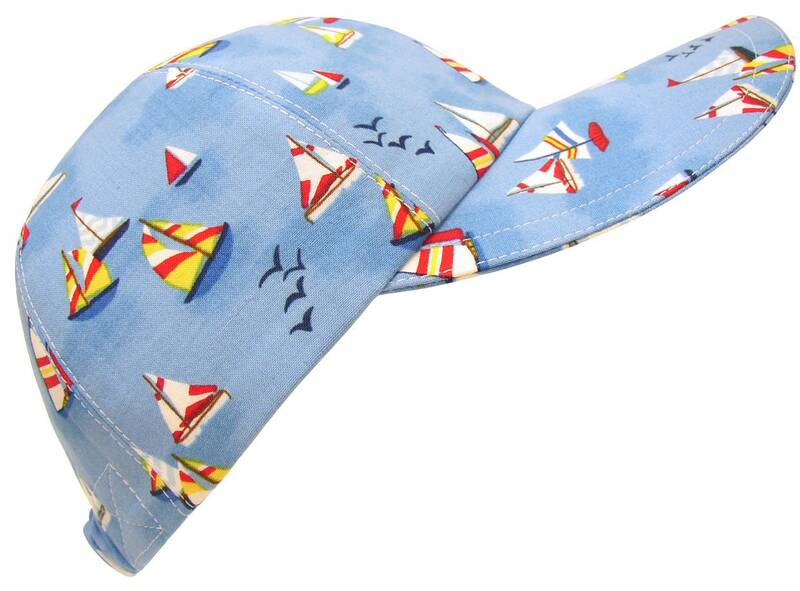 White top-stitching, royal blue grosgrain on the pretty, white-on-white cotton floral print lining.